Batgirl Annual #3 is not really a Batgirl story. Or perhaps it would be more fair to say that this is not your typical Batgirl story. You see, Batgirl is the main character and this issue was written by her regular writing team of Cameron Stewart and Brenden Fletcher. 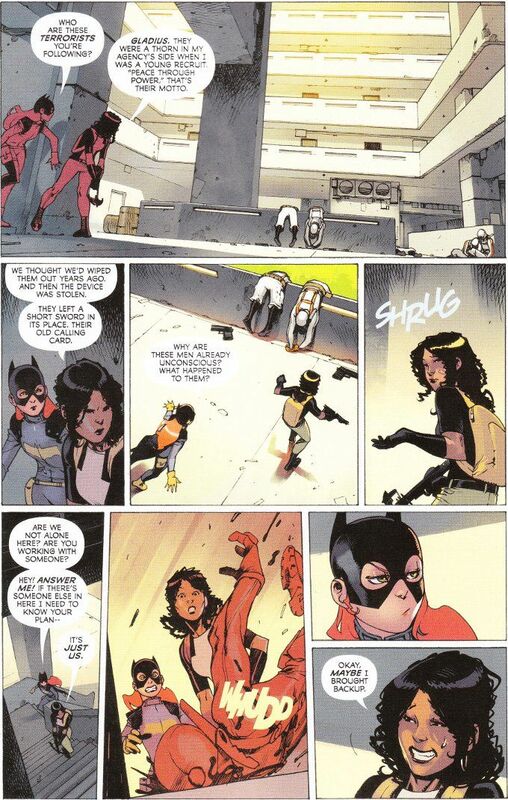 But the actual purpose of this issue seems to be to give some attention to the lesser-known Bat Family books, such as Grayson and Gotham Academy. Under lesser writers this could be a recipe for disaster. But Stewart and Fletcher more than meet the challenge of making the patchwork nature of this sort of story engaging through liberal application of their famous humor. 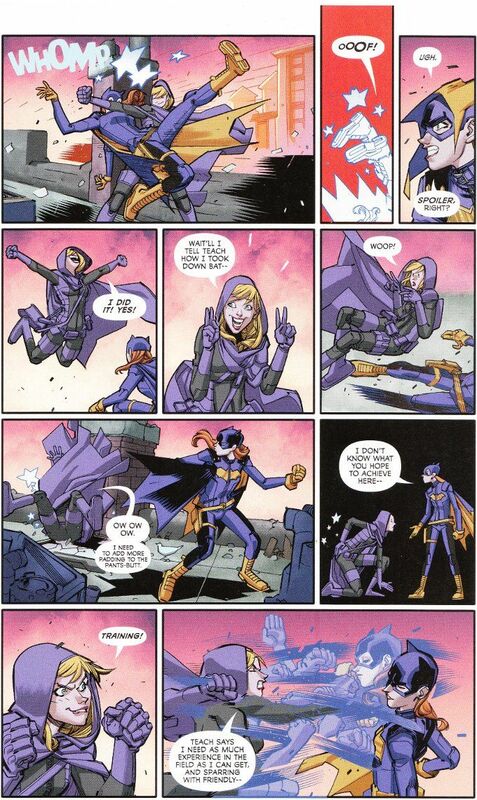 Perhaps the best portion of the issue details Babs' encounter with an overly-excitable Stephanie Brown a.k.a. The Spoiler. Hopefully we'll be seeing more of these two heroines playing off of each other in the future. This issue features a dream team of various artists and inkers. They all do a wonderful job with their respective chapters and there's not a bum comic in the lot. This issue more than justifies its cover price, proving quite the bargain at $4.99 and its a wonderful introduction to the series for those who haven't given Fletcher and Stewart's run a chance yet.